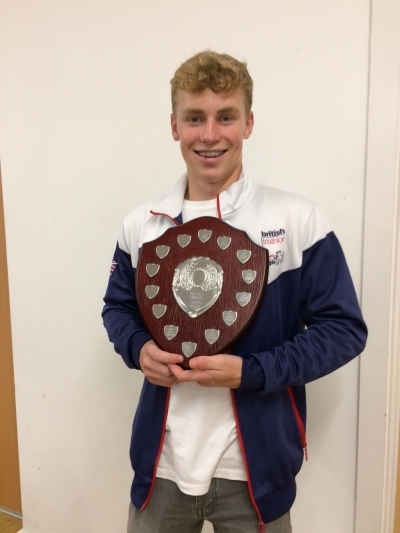 Aidan Carter of Year 11 has had a very succesful year competing in Triathlons. Aidan has trained very hard over the last year and won the South West Region Championships this year and will collect a trophy later in the year. There were 5 races in total which were made up of Duathlon(run-bike-run), Aquathlon(swim, run) and Triathlon(Super sprint distance). 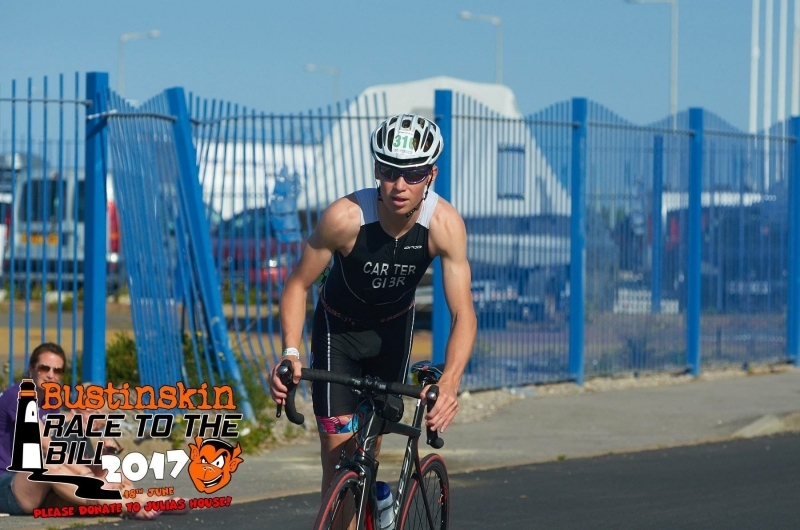 He also qualified for the Youth Elite Triathlon GB championships which have been National events held all over England which he has entered as a first year Youth. On a local basis he has won the Bustinskin Sprint Junior Events as well. Sadly he now has a hamstring injury which has meant rest is required due to the number of intense competitions he entered. Our photo below shows Aidan with the trophy he received at the recent awards ceremony during the October half term for winning his age group in the South West Series, a Regional trophy. On the day, the team were very lucky to have a training session in the Bath University swimming pool and athletics track - amazing facilities and possibly encouragement to think about Uni in the future! Then it was on to Odd Down Cycle Circuit for a training session on the outdoor bike circuit there. We wish Aidan even more success when he is able to compete again.